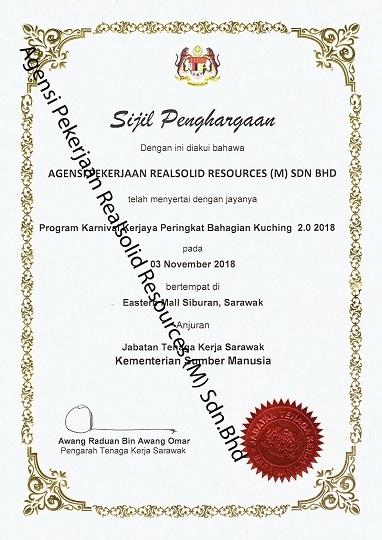 Agensi Pekerjaan Realsolid Resources (M) Sdn.Bhd is the agency licensed by Ministry of Human Resources JTK 2265 and Department of Immigration of Malaysia IM 101/HQ-J/857/4-794, established at July 2005. Our company has selectivity associated with well-established and reputed overseas companies. Our company recruit foreign domestic helpers from Indonesia, Philippine, Cambodia and Vietnam. 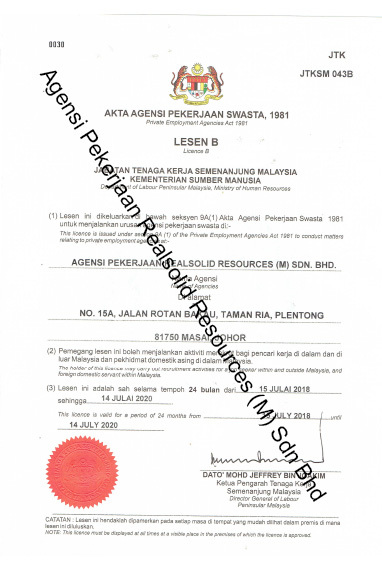 We also provide local worker from east Malaysia as well. 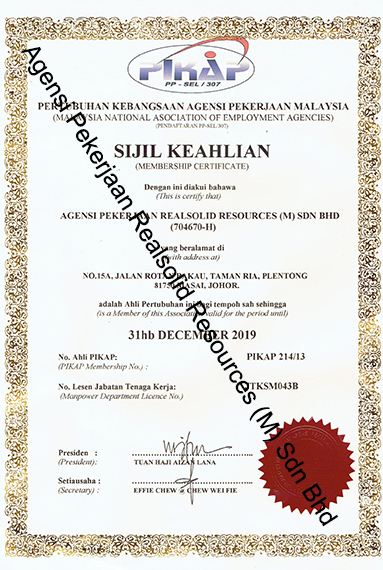 Besides that, our company also is a member in Malaysia National Association of Employment Agencies. As long term cooperation with our overseas associated agent, our company have a same vision and commitment which is to improve our quality of recruitment. Our company also provide the training programs to deliver competence candidates according to our local customer requirement and government regulation. Our housemaids are carefully screened and selected by our experience representative in the country of the origin. They then undergo comprehensive training and orientation. Our company is an employment agency for supplying and managing of bringing in foreign worker and domestic maid from Cambodia, Philippines, Vietnam and Indonesia. Our company had earned high reputation on recruitment of local and overseas, management and consultancy of manpower supply. 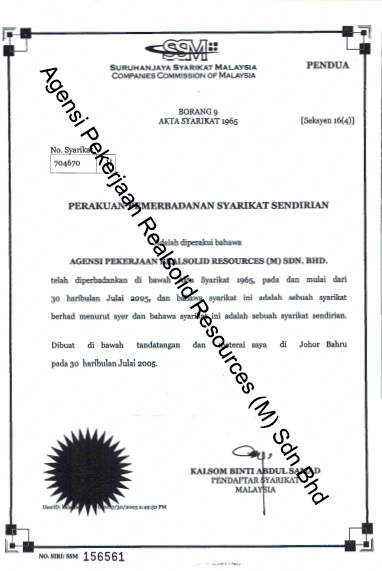 Our company are licensed, reliable and trustworthy agency. 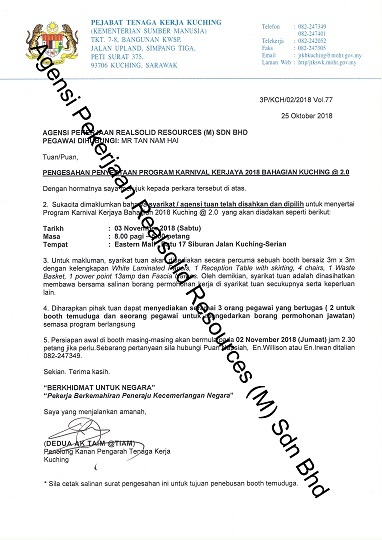 Our company are very concerned about their training, family background and experience. Thus, our company focus on long term relationship and fully prepare to process everything for our customer.